When we read the Bible, it opens us up. It reads us. One of the main reasons people don't read the Bible is that they have no plan. Here is one of many plans available to get you reading God's Word and God's Word reading you. The One Year Bible daily reading plan consists of passages from the Old Testament, New Testament, Psalms, and Proverbs. You can choose to read all of the daily readings and read through the Bible in about 15 minutes a day, or choose to read parts of it (i.e. - New Testament and Psalms - 7 minutes a day will get you through the New Testament in one year and the Psalms twice in one year). Click here for a downloadable One Year Bible reading plan. 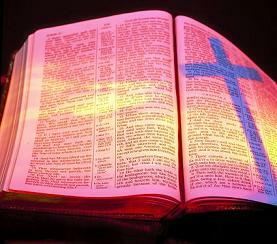 Check out this tool below to see today's reading and some insights from One Year Bible Blog.